The game Media Molecule has created won't do these things alone, but if gamers create the levels we think they're capable of, we might be looking at one of the most important games this console generation has seen. As it stands it's an entertaining platfomer, highly polished training tool and potential gateway to greatness. We're hoping it will end up being much more. As you can see, I had a ton to say in this review, but that's because there's a ton to this game. 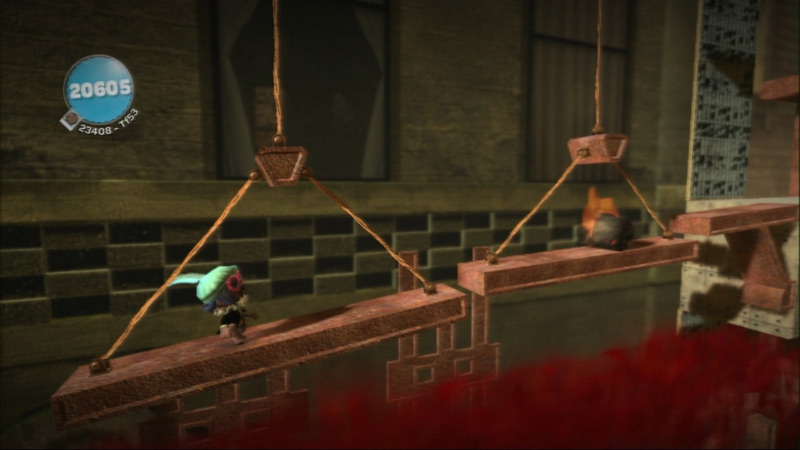 LittleBigPlanet is a massive game, one that is essentially two parts intertwined so well that they're practically inseparable. Media Molecule has created a brilliant platformer, and then given you the tools to recreate the whole thing over again, or better yet, to create your own ideas from scratch. Little Big Planet is a startlingly imaginative take on the platforming genre, and its story mode, while short, is truly outstanding. It's down to the community to elongate the life of the game, and while only the most ardent fans will be up to the task of making compelling content, the tools here certainly have some potential. If you've not got a creative bent then you might feel like you're getting half a game, but that doesn't stop Little Big Planet being a star that burns twice as bright, half as long. The game's controls are still piss-poor, and many of the online levels are just as boring as the ones on the game disc, but that's hardly the point. Some of the levels here are well-designed, some are not, but the amazing thing is how little that matters. I've found that level design means nothing next to the amount of personality a LittleBigPlanet level has, and thanks to the game's amazing level creator, the amount of personality users can cram into their levels appears to be limitless. 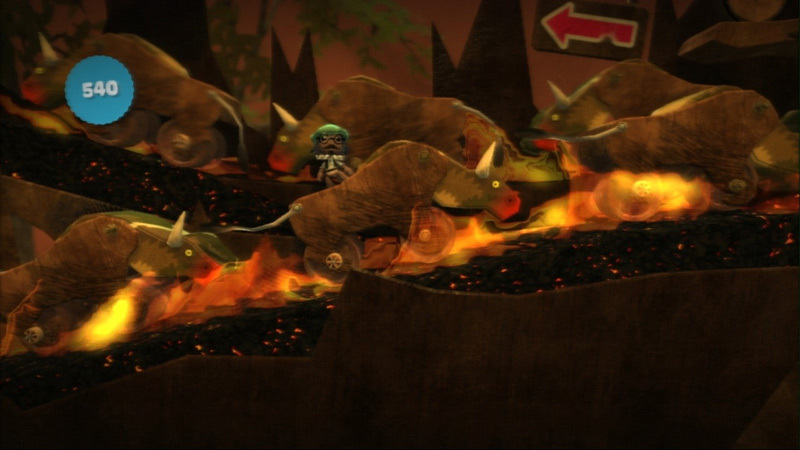 LBP lives up to its promise of playing, creating, and sharing. It’s a strong 2D platformer that darts into the shadow of trouble once in awhile, but it’s ultimately redeemed by its daring design. You’ve never played another game like it. Rome wasn’t built in a day, and it will take longer to make a superb level than most will want to spend, but finally those pages of graph paper from your more optimistic days can come alive. I wish the platforming bits were tighter. I wish the servers weren't effectively broken for the first week or so of the game's release. I wish the online worked better. But when I'm just sort of digging around, uncovering the things that people have created and shared, all of that stuff becomes very easy to forget. 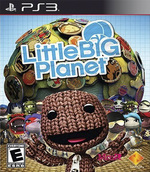 When it's at its best, LittleBigPlanet offers excitement and the thrill of discovery in ways that no other console game ever has. It's a celebration of inspiration and human interaction and a hugely welcome, utterly invigorating experience among usual roster of nihilistic shooters jostling for shelf space this Christmas. It's like Bagpuss and LEGO and nostalgia met at the pub and invited everyone along -- and if the big grins and warm fuzzy feelings around the office are anything to go by every time we turn it on, LittleBigPlanet deserves all the recognition it can get. 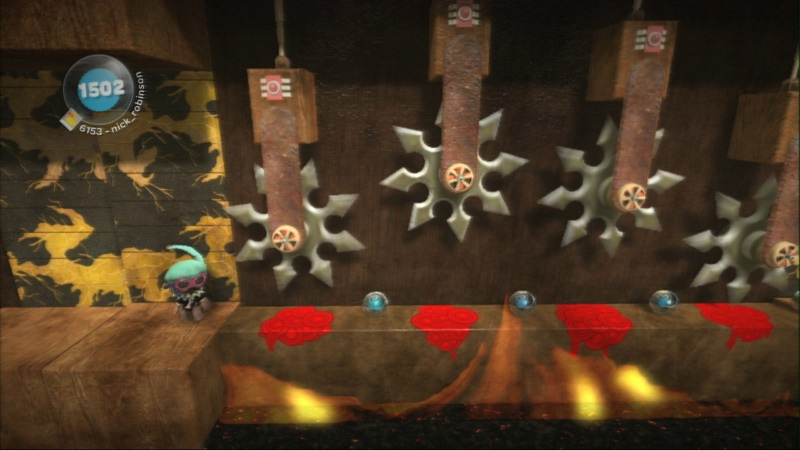 The promise that anyone could create something simple and fun and personal with LittleBigPlanet hasn't come true. In a way, it's the opposite of Spore, which makes it easy and fun for every single player to have creative input, but doesn't let any of them change the fabric of the game. 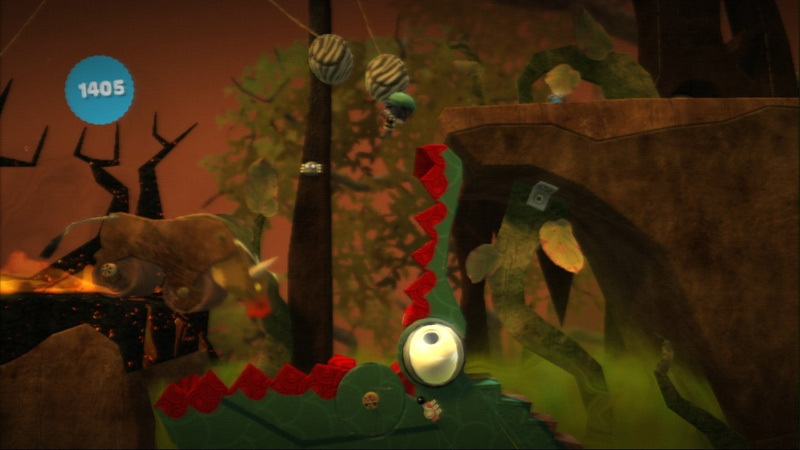 LittleBigPlanet lets them run wild, with unprecedented results, but it locks the majority out of the creative process, because it's time-consuming and simply not very enjoyable. Little Big Planet es, dicho simplemente, una genialidad, una prueba evidente de la grandeza de los videojuegos, un título universal que puede ser disfrutado por mayores y pequeños -es más, debe ser disfrutado por mayores y pequeños, es el mejor juego posible para disfrutar con un hijo-, un juego que ofrece mucho tanto para los más expertos y dedicados como para los más novatos, o con un tiempo limitado. 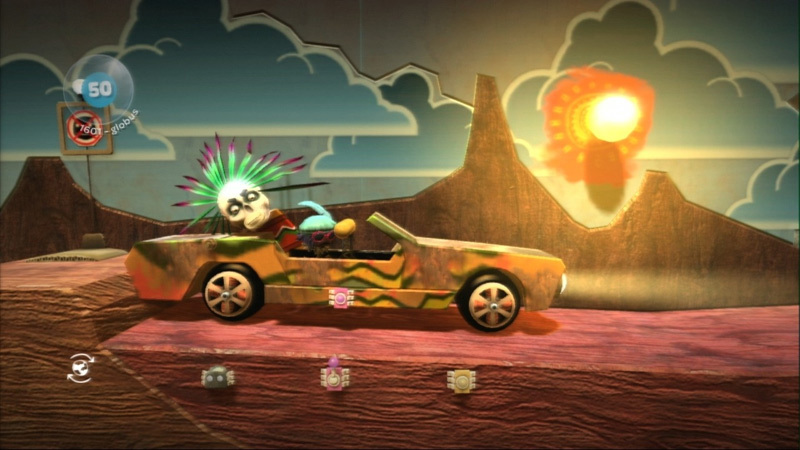 LittleBigPlanet es un triunfo total de su innovador concepto, y ofrece prácticamente todo lo que esperábamos de él. Un gran editor, un título de plataformas más que bueno y la primera entrega de una saga con carisma y simpatía. Se trata de una franquicia a seguir en el futuro, y si se pulen sus escasas limitaciones jugables se puede dar en años venideros con un videojuego memorable. Media Molecule a réussi un pari risqué, plonger un personnage qui ne sait pratiquement rien faire dans un environnement hautement interactif mu par des mécaniques au déclenchement simple et aux réactions complexes. Puis vient l'autre face de LittleBigPlanet, son éditeur qui laisse libre court à votre imagination mais qu'il faudra apprendre à maîtriser en lui consacrant de longues heures de boulot. LittleBigPlanet é efectivamente a “The Next Big Thing” no mundo dos videojogos, um jogo onde a imaginação, os sentimentos, a cooperação, a amizade, a beleza, e genialidade estão de mãos dadas. É já incontornável o papel preponderante que LBP terá na concepção dos futuros jogos, influenciando uma nova geração de artistas gráficos, e encorajando tantos outros.